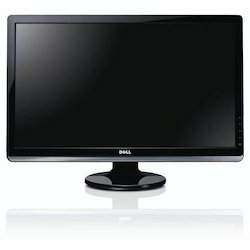 Pioneers in the industry, we offer Computer Display such as Dell Computer Display and Panasonic Commercial Display from India. We are pioneers in offering Dell Computer Display to the clients. This product is utilized for showing vital messages as a part of banks, workplaces, railroad stations and other united spots. Offered range is very much acclaimed attributes such as configuration for simplicity of upkeep, scratch resistance and others. We are the renowned company known for offering Panasonic Commercial Display to the clients. This product is made available in variety of designs, colors, and dimensions so that clients can avail display as per their requirement. Offered range is known for its features such as robust construction, high quality and is offered at market leading rate.